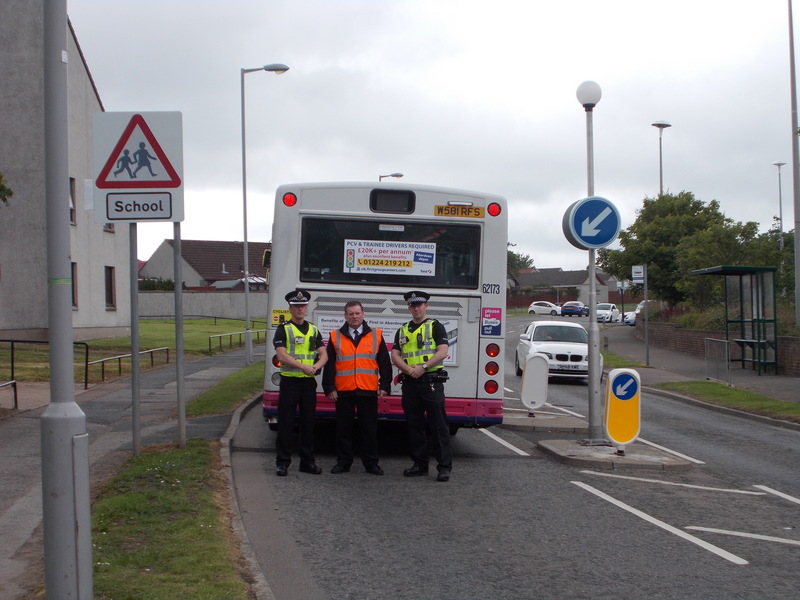 Police will team up with First Aberdeen to crack down on drivers who overtake illegally as bus stops. It follows concerns about motorists who fail to obey the “keep left” arrows at traffic calming islands. One blackspot is at Jesmond Drive in the Bridge of Don, where there are two schools and a care home, and officers will be carrying out regular patrols and checking CCTV footage on buses. Inspector Chris Kerr said: “We have listened to the local community who have highlighted concerns around a minority of impatient drivers who continue to flout the rules of the road by failing to obey the keep left arrow at the traffic calming islands at bus stops. Managing director at First Aberdeen David Phillips added: “We’re working closely with Police Scotland to ensure the safety of our passengers. “Impatient drivers carrying out irresponsible and illegal overtaking manoeuvres such as these are putting lives at risk.